New York, NY, March 27, 2019 -- Digestive wellness is one of the year's hottest trends, and today's consumer is demanding gut-friendly products that not only taste great but are also plant-based and deliver tremendous functionality. That's a tall order, and Simply Free™ (http://eatsimplyfree.com/index.html) drinks, yogurts and dressings deliver products made from simple ingredients that are packed full of fiber, prebiotics, probiotics, omega-3 essential fatty acids, proteins – and no junk. "Partly because so many Americans are on low-carb diets that can exclude important nutrients, fewer than 3 percent get the minimum recommended daily fiber intake," says Chris Lee, marketing director for Simply Free's parent company, Choopoons (http://www.choopoons.com/)®. "We set out to prove that plant-based drinks, yogurts and dressings can combine functionality and great taste—and we're winning. Our products offer up to 50 percent of daily fiber intake and are super easy and enjoyable to consume. While most companies add only probiotics to their food, we developed our products with a unique and much more effective combination of fiber, omega 3's, probiotics, prebiotics and antioxidants, which work much more effectively together." All Simply Free™ products are kosher and contain up to 11 grams of protein, 15 to 17 grams of fiber, 1,200 milligrams of omega 3 ALA, 5 to 10 grams of prebiotics and 1 billion CFU of probiotics. Simply Free™ dressings contain only 20 calories and 1.5 grams of fat per serving, and most Simply Free™ drinks and yogurts have less than 200 calories per serving. Simply Free™ drinks and yogurts are made from cucumber seeds for protein, and they're sweetened with cacao fruit pulp (the fruit surrounding the cacao beans) rather than refined sugars, and they also have a glycemic index of less than 30. 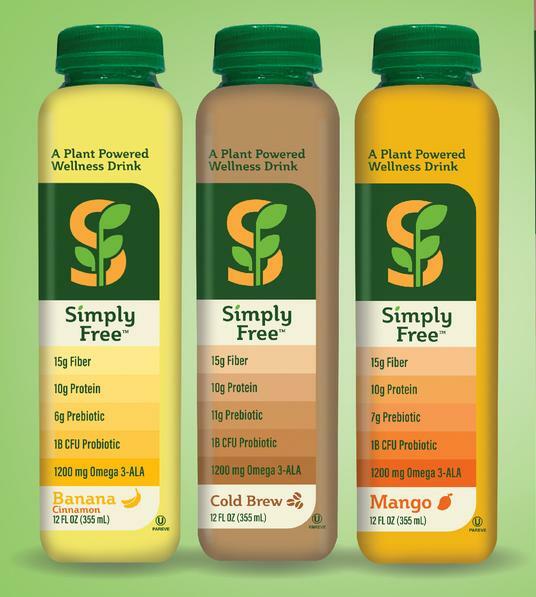 Simply Free™ dressings are made from cold pressed chia seed oil and are fortified with gluten free oat milk. Konjac, a high-fiber plant, is used in place of synthetic binders or gum. For our yogurts and drinks, we source the highest quality organic produce, such as Alphonso mangos from India. "You can't make the best products in the world if you don't start with the right ingredients. We refuse to compromise on taste—ever—and we use only fresh, natural plants such as cucumber seeds, which have clean flavor profiles," Lee said. "Plus, our products keep people feeling fuller for longer because they contain so much soluble and insoluble fiber. They can even be used as a meal replacement." Driven largely by millennial consumers, demand for digestive-oriented products has soared, with probiotics alone expected to become a $50 billion market by 2020, according to BCC Research (https://www.bccresearch.com/market-research/food-and-beve...). The team of plant lovers, foodies and health scientists at Simply Free have created a line of products that conveniently support gut health without any of the eight major allergens (i.e., dairy, tree nuts, peanuts, soy, wheat, eggs, fish, shellfish) or nasties such as refined sugar and genetically modified organisms. 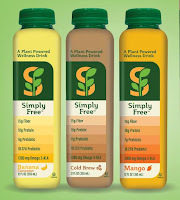 Simply Free™ Wellness Drinks are available in Banana Cinnamon, Strawberry, Mango and Cold Brew. Yogurts are available in Banana Cinnamon, Mango, Pineapple and Raspberry. Dressings are available in Spicy Feta Dill, Spicy Harissa, Zesty Garlic and Lime and Moroccan Spiced Lemon. 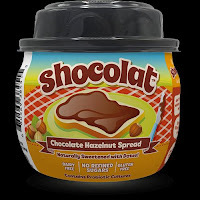 Choopoons® also makes Shocolat (http://spreadshocolat.com/)™, a delicious Nutella-like chocolate spread, made from organic date syrup, hazelnuts, MCT oil, organic cacao and probiotic culture for a delicious, guilt-free snack with a purpose. 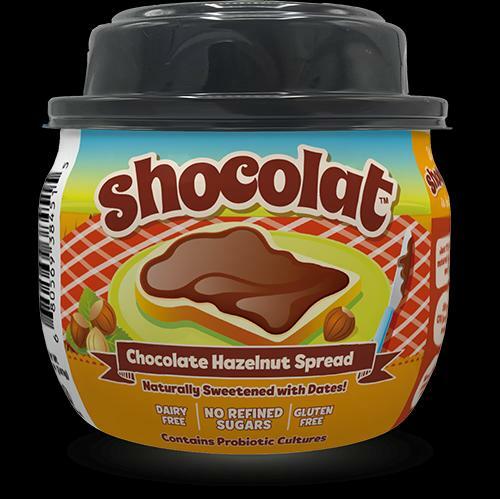 Shocolat™ is made without palm oil – a controversial ingredient used in many spreads. 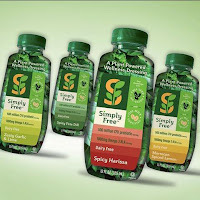 Simply Free (http://eatsimplyfree.com/index.html)™ products and Shocolat (http://spreadshocolat.com/)™ are available online at www.choopoons.com and will be rolling out to major retailers nationwide this spring. For product and sales inquiries, contact sales@choopoons.com or 888.416.7555, ext. 1. Simply Free™ drinks, yogurts and dressings are produced by New York-based Choopoons (http://www.choopoons.com/)®, which is working to enrich digestive and gut health through delicious food. Simply Free products combine the tremendous power of functional plants with great taste, using unique combinations of natural and organic ingredients, and innovative sustainable practices. Simply Free™ products are rich in fiber, protein and probiotics and free of refined sugar, allergens, and GMOs. To learn more, visit www.choopoons.com.